Every now and then I crave salty chips. 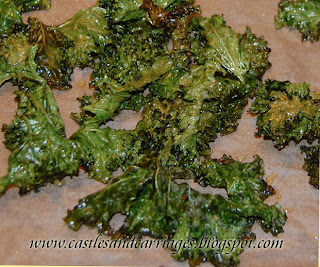 When I want to satisfy the craving in a healthy way I make baked kale chips. The picture doesn't do it justice. It's delicious!